Explore ways to engage students in meaningful reconciliation in response to the TRC’s Calls to Action. 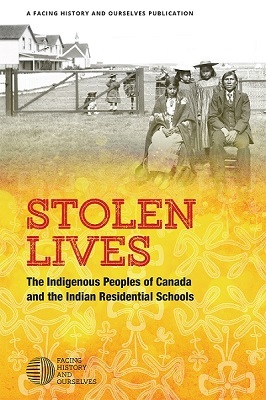 The Stolen Lives digital resource is organized into chapters just like the Facing History print book. The table of contents allows you to browse the themes and topic of each chapter quickly. Purchase our publication in print to use with your students or download as a PDF. Our new two-week unit outline will walk you through which resources to use when teaching Stolen Lives to your students. Learn new teaching strategies and receive personalized coaching to tackle this sensitive topic. Facing History and Ourselves provides hands-on workshops and seminars that model the organization's unique pedagogical approach and encourage discussion and collaboration among educators. Teachers continue receiving support from our program associates after attending our professional development events.